Welcome to the new world of musical realism with the Revelation phono stage! 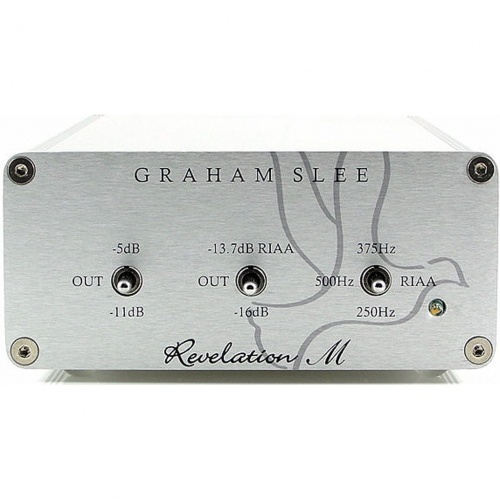 With dedicated versions for moving magnet and moving coil cartridges, the Revelation is a multi format version of our flagship Reflex phono stage. The multiple curves selectable from the matrix of front panel switches can make early LPs and 78 rpm records sound as tonally balanced and fresh as some of todays modern vinyl records, thus making a Revelation a must for the serious collector.